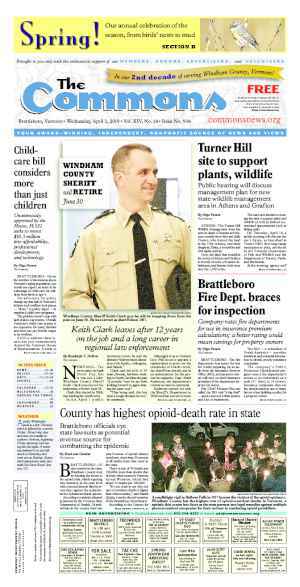 BRATTLEBORO—The Selectboard met with members of the Windham County legislative delegation on Dec. 14 to ask their support for reducing the town’s municipal tax burden, one of the higher rates in the state. “We pay more because we’re an economic regional hub,” Selectboard Chair David Gartenstein told legislators. Gartenstein said Brattleboro property taxpayers fork over more in taxes to fund multiple municipal services and infrastructure projects, like water, sewer systems, roads, and the industries that grew up around them. This Brattleboro-funded infrastructure, however, benefits the entire county, he said, adding that he hoped to start a dialogue around how to better support economic hubs in Vermont. Questions and laments around Brattleboro’s status as a hub for parts of Windham County have floated at the edges of economic discussions for years. 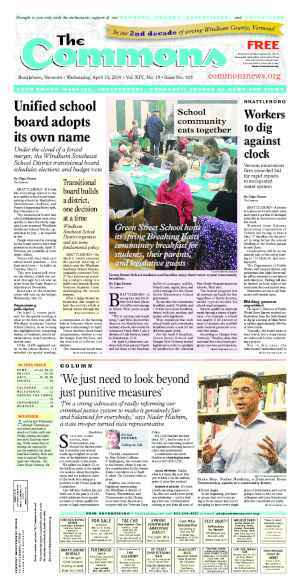 The issue has bubbled to the center of discussions as the Selectboard wrestles with the very tight fiscal year 2015 budget. If the town level-funds its budget, the tax increase would run at least 9 cents per $100 of assessed value, Gartenstein said in a previous budget meeting. The increase is due to conditions like higher costs in health insurance, materials, meeting contractual obligations, and bond payments related to the Police-Fire Facilities upgrade project. Windham County Senators Jeanette White and Peter Galbraith and Brattleboro Representatives Mollie Burke and Tristan Toleno attended the meeting. Interim Town Manager Patrick Moreland echoed Gartenstein, explaining that, as a Marlboro resident, his house value averages $213,000. 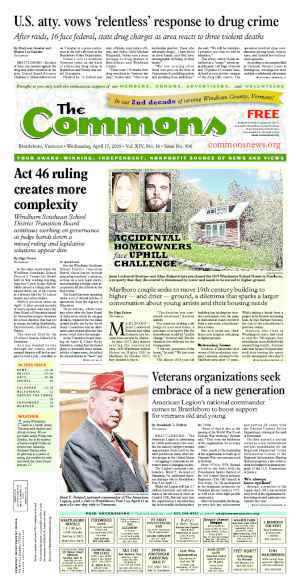 The strong home value is, he said, due in part to Marlboro’s vicinity to Brattleboro’s services — services that exist because of the taxes paid by Brattleboro’s citizens. Moreland said that there could be a better way for the region to share costs when one town makes municipal investments that benefit the entire region. The Southeastern Economic Development Strategy (SeVEDS) supports the region’s transformation from individual town governments to its citizens thinking and acting regionally through a county government, said Moreland. White said that the village center in Putney has a municipal water and sewer system, but the entire town pays into the system. Usually at Annual Town Meeting, someone complains about paying into the water system despite having a well, said White. In turn, other residents will usually counter by saying they pay for roads that they never drive on. The conversation also turned to the number of tax-exempt nonprofits in Brattleboro, with those gathered asking if nonprofits should pay a greater share toward the municipal budget. 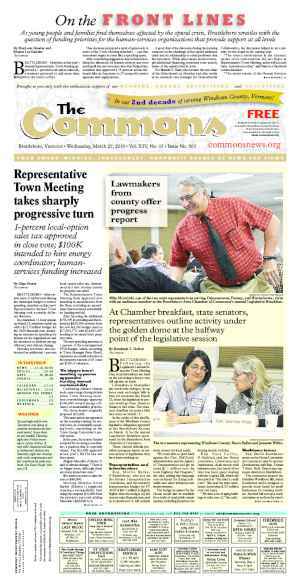 Although nonprofit organizations are required to pay the education portion of property taxes, Town Meeting members can vote to exempt them from paying the municipal portion. “I think we’ve gone overboard on that [exemption],” said White. Patricia Moulton Powden said although the issue exists, figuring out how to solve it was a different story. She added that Montpelier struggles with the same problem. The region must also find a solution that does not endanger its competitiveness, she added. Moulton Powden said she would bring the issue to her peers and said that studying the issue would serve as a good first step. Galbraith, who also supported conducting a study, said he doubted much political support exists for new taxes. He said, instead, that the state’s 1-percent-option sales tax could bring extra funds to economic hub towns. He added that different towns carry different burdens. Smaller towns, he pointed out as an example, often pay more for road maintenance compared to larger towns because fewer taxpayers support more miles of roads. Gartenstein said many solutions have floated to the surface, like a ¼-cent tax on wages of non-residents who work in town, which could bring in $250,000 in revenue on an estimated annual $400 million in non-resident wages. Despite slipping possible solutions into the conversation during the meeting, Gartenstein said he wished to steer clear of up-front solutions. He did not want to risk potential solutions being shot down before their time. The legislators endorsed a study, noting that most of the state is comprised of largely rural areas with economic hubs. Selectboard Vice-Chair Kate O’Connor, who served previously in the Dean and Shumlin administrations, said Brattleboro is not alone in feeling the economic pinch as a hub town. To get traction, however, other hub towns will need join together with similar concerns and issues, she said. It’s about having a greater voice. The reason the issue has come to the fore, said O’Connor, is because the tax rate will likely increase. “Anything you do that involves money is emotional,” said O’Connor. Originally published in The Commons issue #234 (Wednesday, December 25, 2013). This story appeared on page A1.